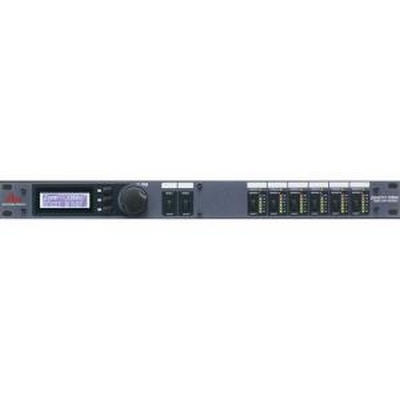 The ZonePRO 640 from dbx is a digital zone processor that features six-channels of input and four-outputs. The unit is suitable for installation in restaurants, fitness centers, retail stores, nightclubs and any other situation that requires multiple-zone control of audio sources with paging features. The ZonePRO 640 has limited front-panel control, but both it and the ZonePRO 641 (same features but with no front-panel control) require a computer for initial set-up. 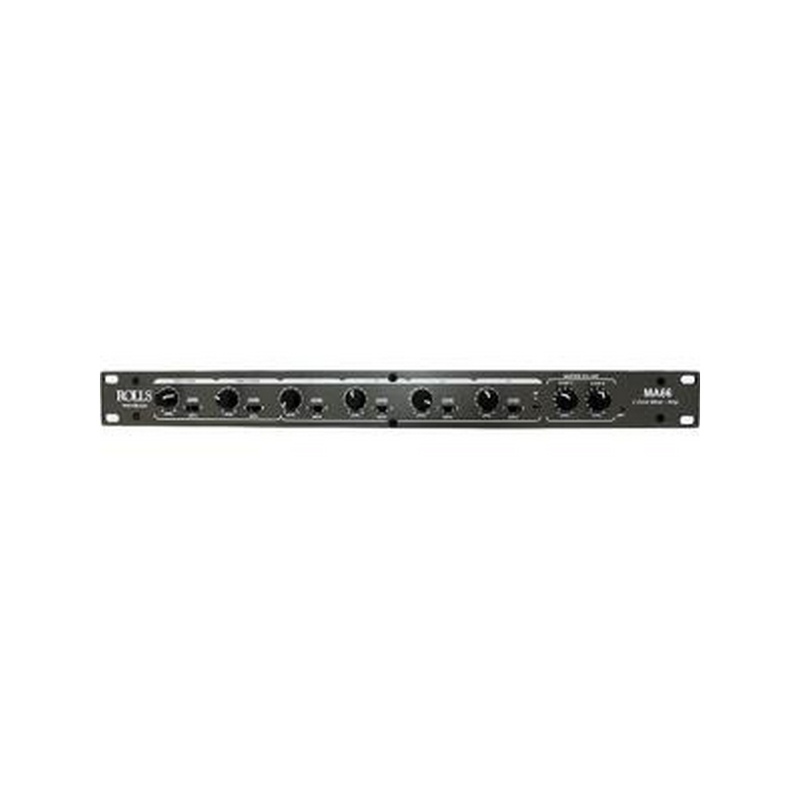 The processor provides two balanced inputs on Euroblock terminals that are selectable as line or microphone level (with phantom power), along with four pairs of analog RCA line inputs, with each pair internally summed to mono. Outputs are available via Euroblock terminals and can be configured as either stereo or mono. Front panel control includes zone output volume, source select, and muting for each zone. Output level meters with six-segment LED meters and output dynamics threshold LEDs provide visual feedback of signal levels. The included Windows based control software communicates with the unit via RS-232. Processor blocks can be switched in or out of a chain and include input gain, high-pass filtering, parametric EQ, compression, limiting, gating, AGC, ducking, de-essing, AFS (Advanced Feedback Suppression), notch filters, signal routing, band-pass filtering, delay and polarity. An AutoWarmth module provides gentle bass boost compensation as signal levels are lowered. The ZonePRO 640 really shines when utilized with optional remote wall-mount controllers that can be positioned within the various zones. The wall-mounts are able to provide local volume control or scene selection, dependent on the type of controller installed. A built-in real-time clock can provide programmable system changes throughout the day or week. All program memory is non-volatile, ensuring program security in the event of power failure or computer malfunction. Note! 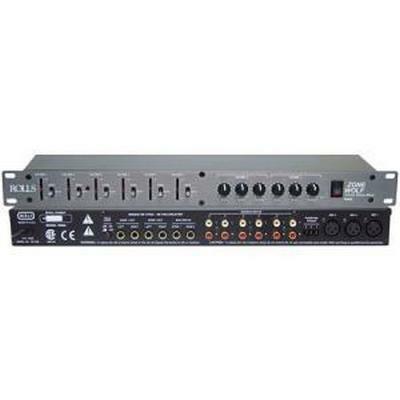 Stereo sources and stereo output can be configured using the control software, but input channels and number of zones available will be reduced correspondingly. 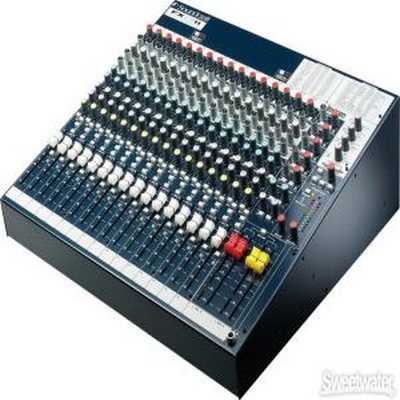 The Soundcraft FX16ii is a monster of an effects-included mixer! Teaming with Lexicon, a name synonymous with premium reverb and effects processing, Soundcraft brings us unexpected (but dreamed about!) 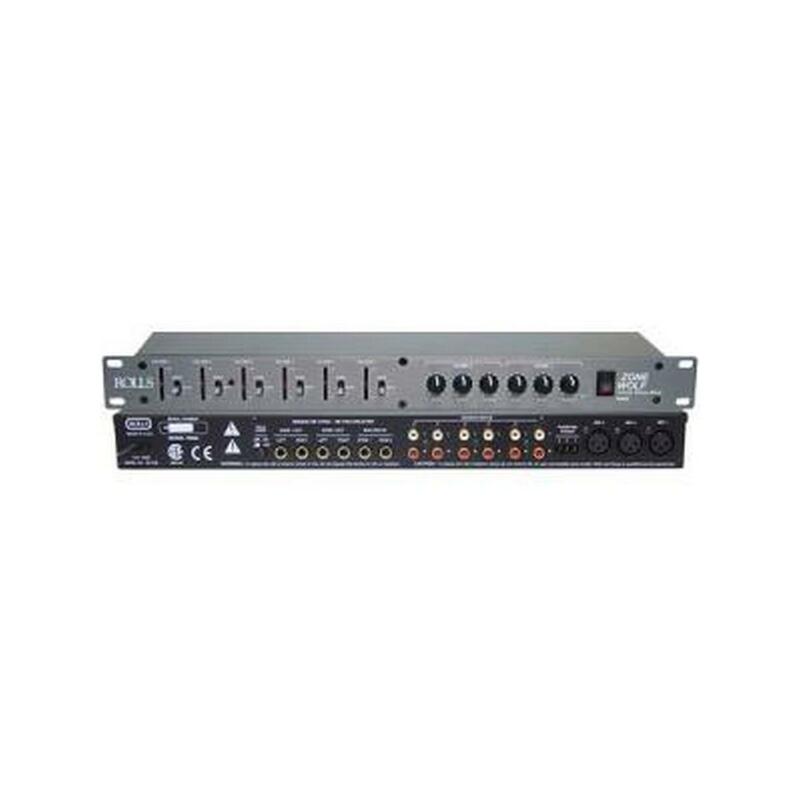 effects quality in a console at this price level. The FX16ii is powerful in both the live and recording environments, boasting built-in tap tempo, 3 parameter controls, storage for user effects settings, and 32 incredible and editable effects to play with! 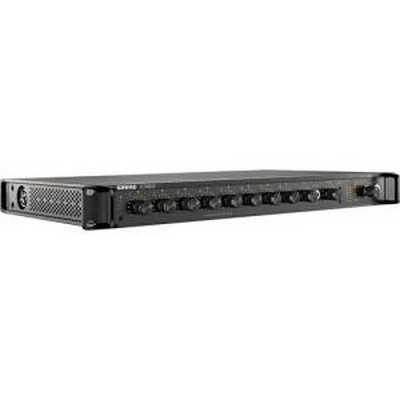 With a new rugged surface and mounting design, the FX16ii can also be rack-mounted into a 10U space using Soundcraft's roating connector pod, allowing you to connect your cables behind your rack and out of your way. 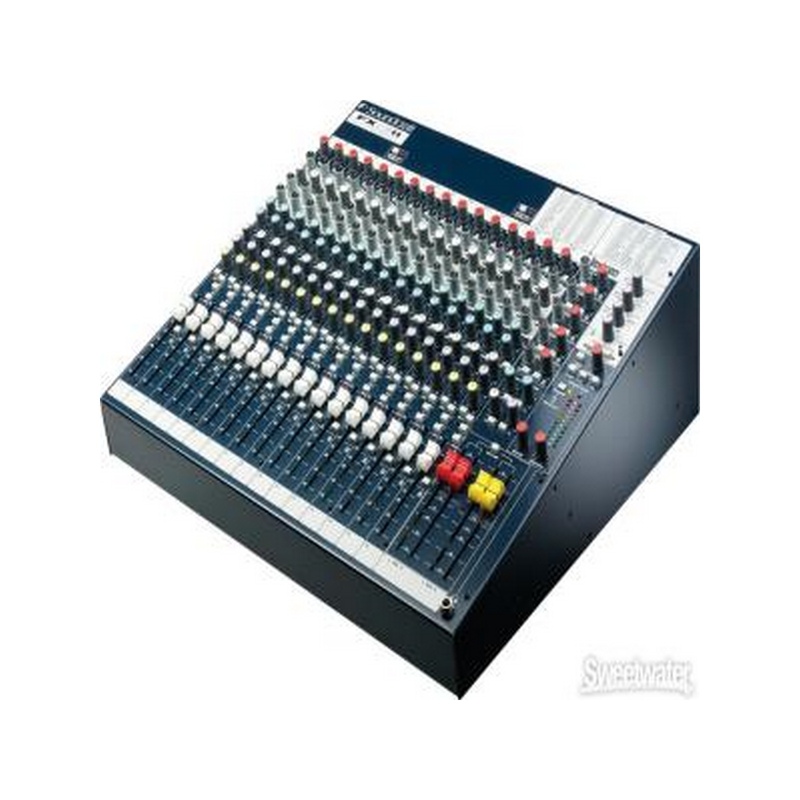 Using the same AudioDNA processor featured in the renowned Lexicon MX500, the Soundcraft FX16ii is a mixer that's sure to impress. 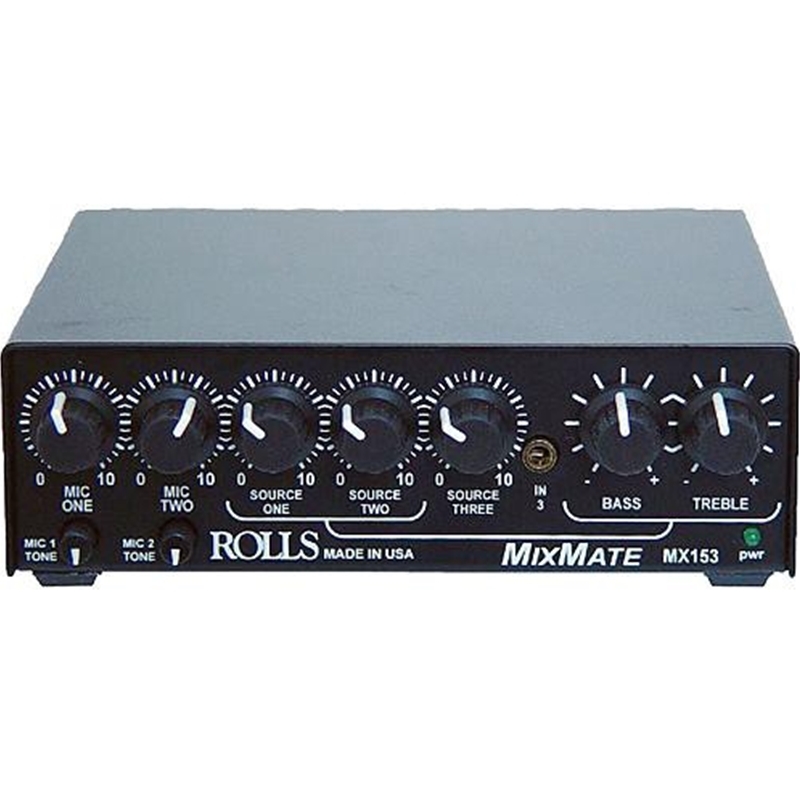 The Rolls RM68 Zone Wolf 2 Mixer is a rack-mountable 3-microphone, 6-stereo source mixer with outputs for two zones. Mixed signals may be sent to either zone or both. 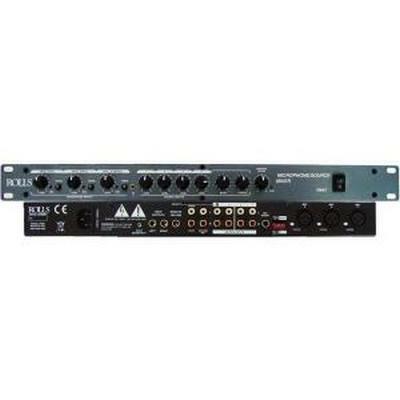 The RM68 features individual volume controls for each input channel and for each zone. The zones also have individual bass and treble controls. 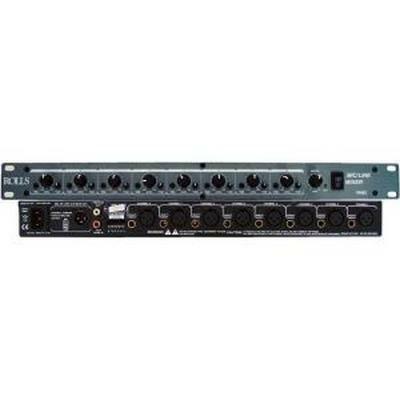 The mic inputs supply phantom power so condenser microphones may be used. An automatic talk-over feature on mic 1 allows announcements to be heard clearly. With its intuitive interface, solid construction, and variety of input options the RM68 is ideal for use in restaurants, hotels, schools, factories, or houses of worship. 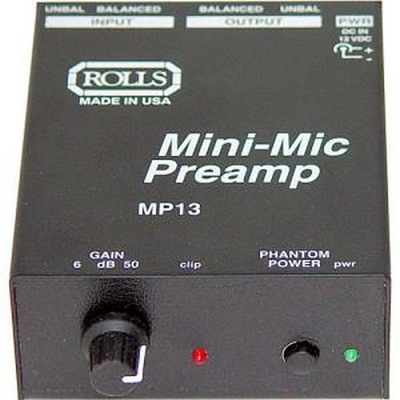 The Rolls MP13 Mini Microphone Preamp is a single-channel microphone preamp that is designed to provide a small, simple, and inexpensive solution for a variety of applications. 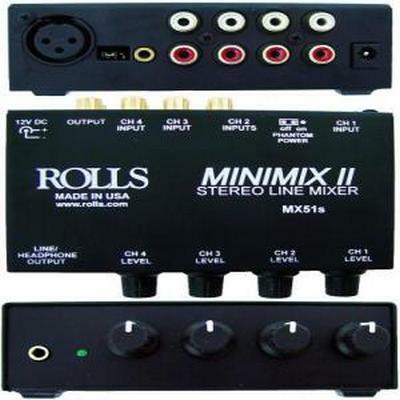 The unit has both XLR and 1/4" inputs and outputs, and a single gain control with a clip indicator. 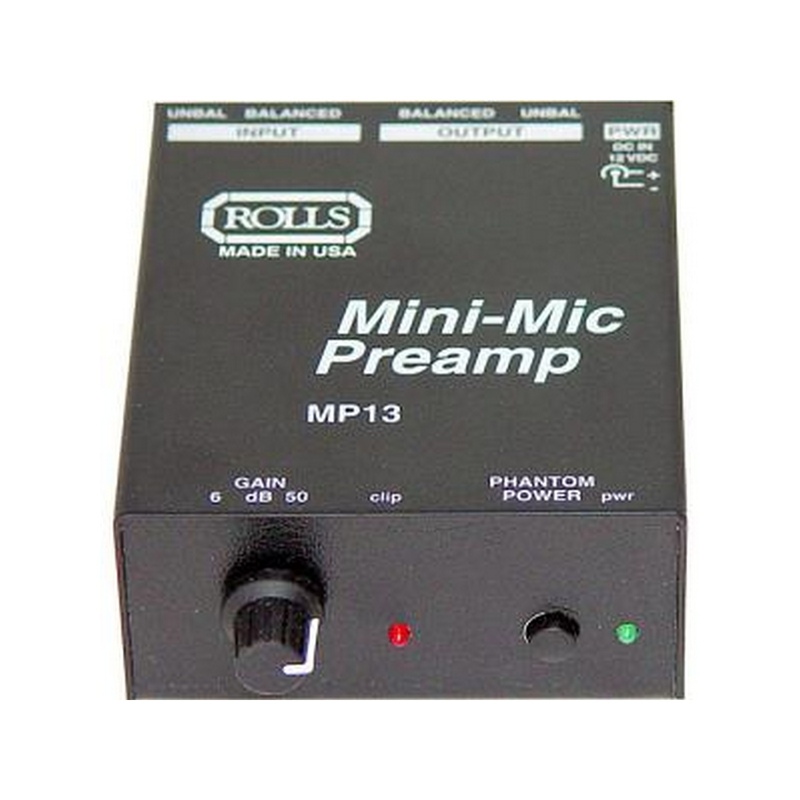 Phantom powering (+36V) is included for use with a condenser microphone. 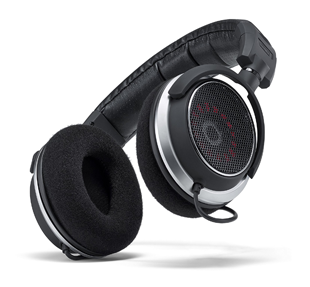 The 1/4" output is specially designed for use as either a mono unbalanced output, or a stereo headphone output. 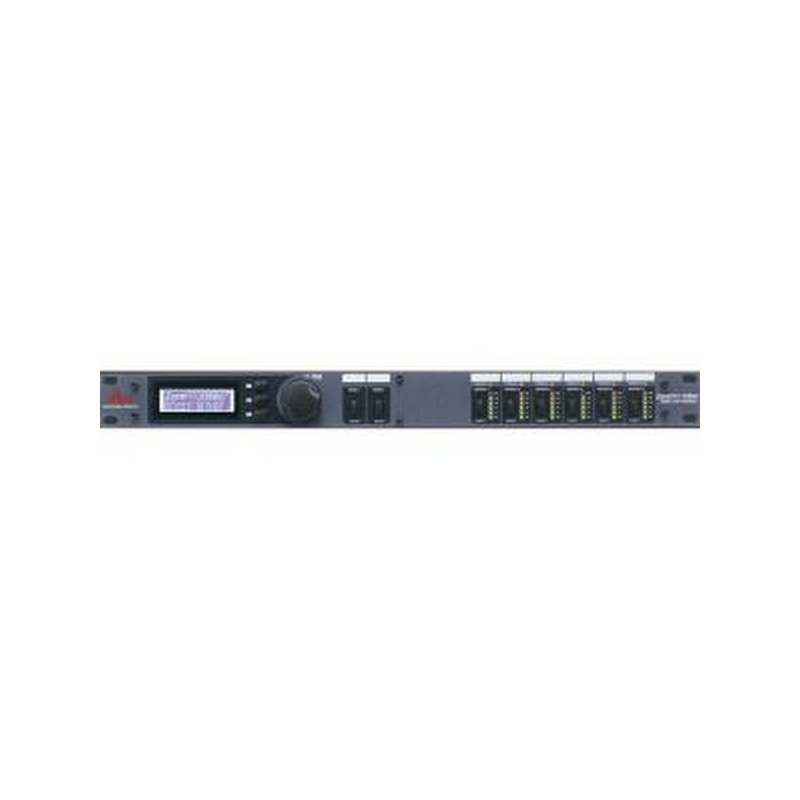 The dbx ZonePRO 1260m 12x6 Digital Zone Processor can distribute up to twelve audio sources across six mono output zones. 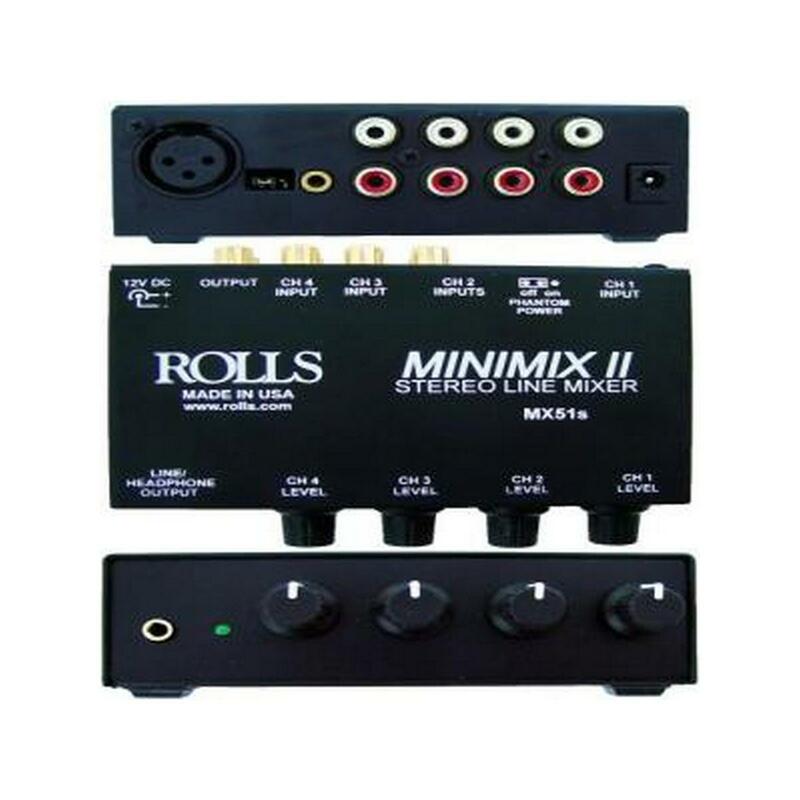 The included software will allow you to adapt the input/outputs quickly to fit your needs. 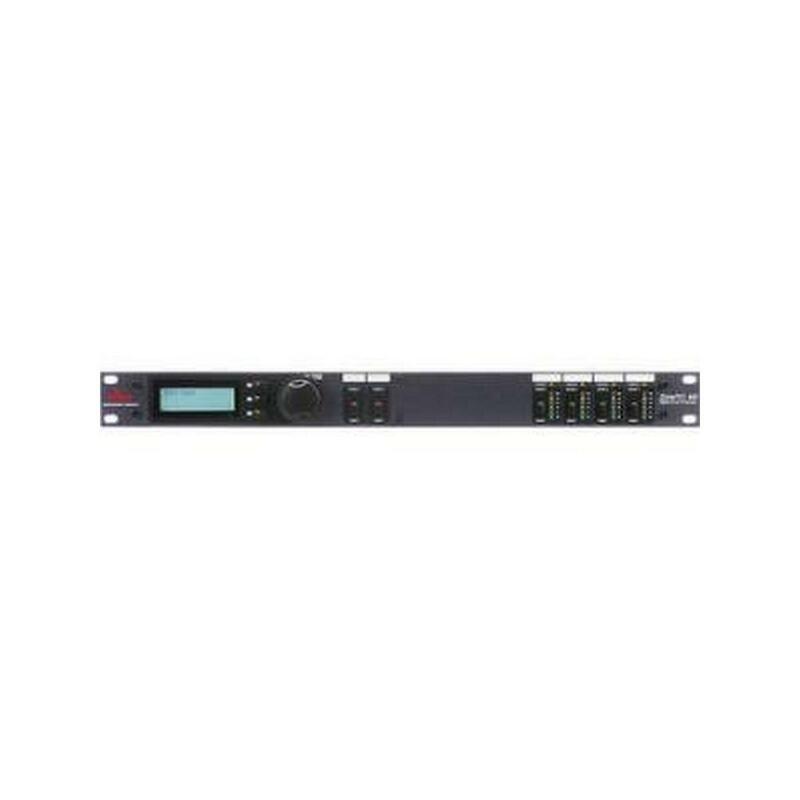 The ZonePRO 1260m features an interactive front panel with an LCD display, comprehensive signal metering, user-specified controls, and paging broadcast buttons. With versatile routing and plentiful connectivity, the 1260m will suit a banquet hall or house of worship. 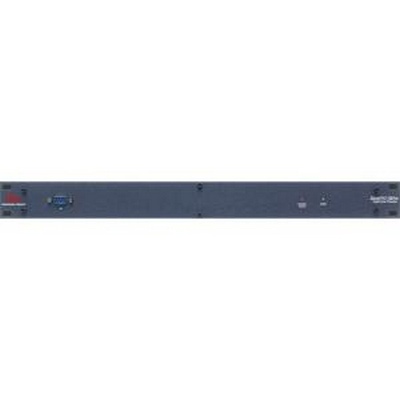 The ZonePRO 1260m's pre-configured architecture keeps the input/output addresses fixed and simple. 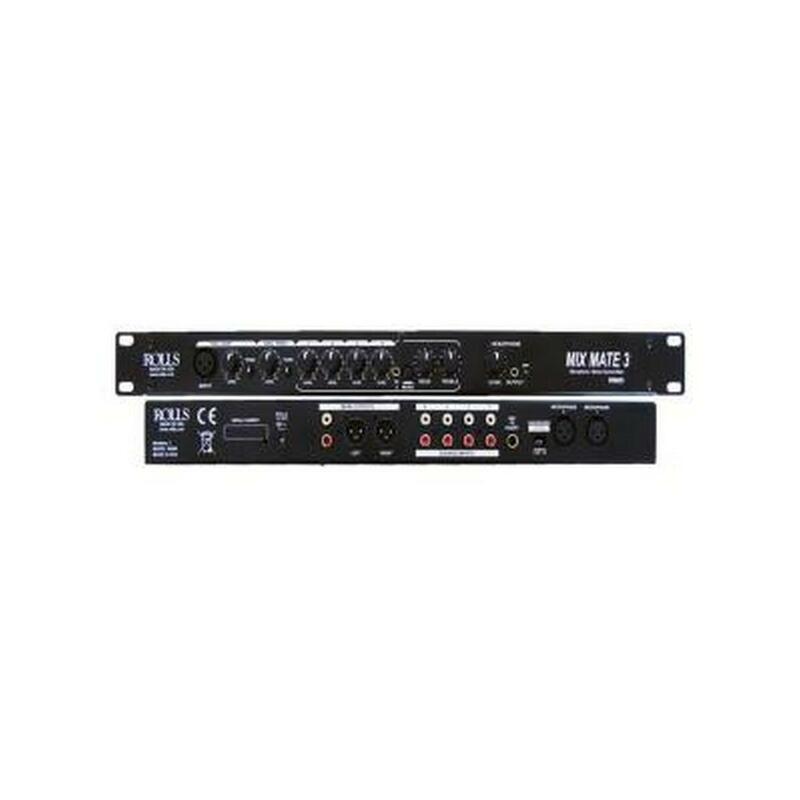 It has six balanced Euroblock mic/line inputs with gain control, four mono-summed unbalanced RCA input pairs, and a S/PDIF input for up to two channels of digital audio. Its six zones output from balanced, line-level Euroblock connectors. 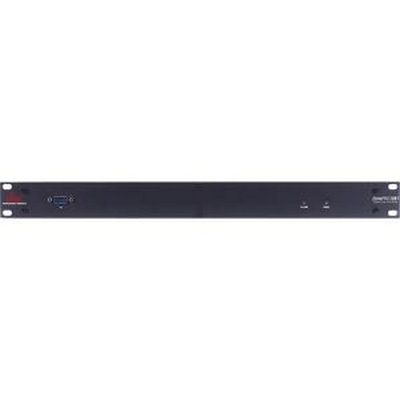 Once the analog cables are connected, your audio system can be controlled and fine-tuned in the ZonePRO Designer software from your Windows-based PC. 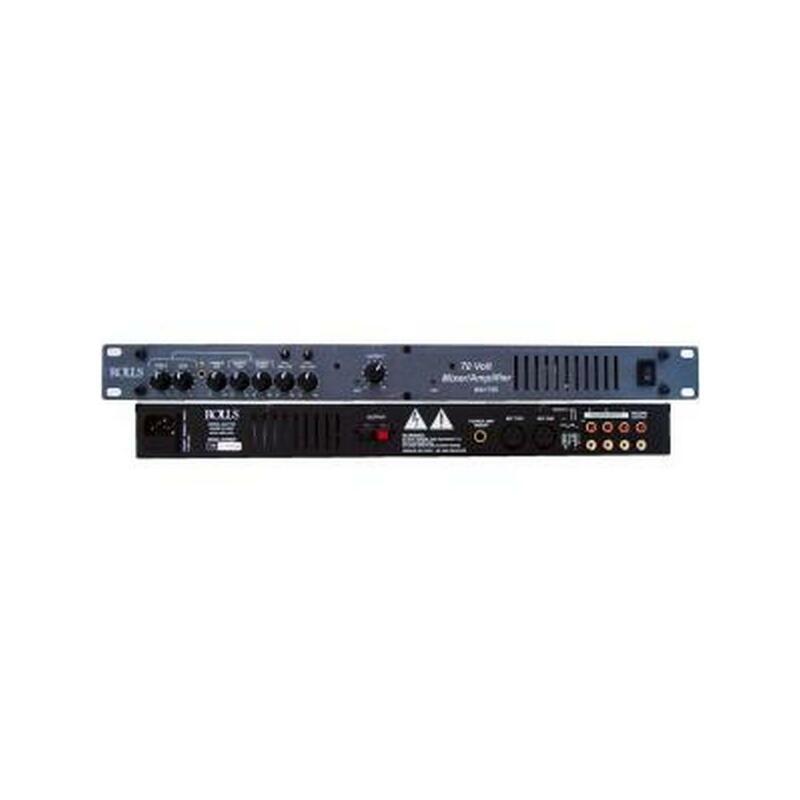 The output zones all have individual tone controls, including AutoWarmth and one DSP insert, for optimally tuning the speaker system to the room. 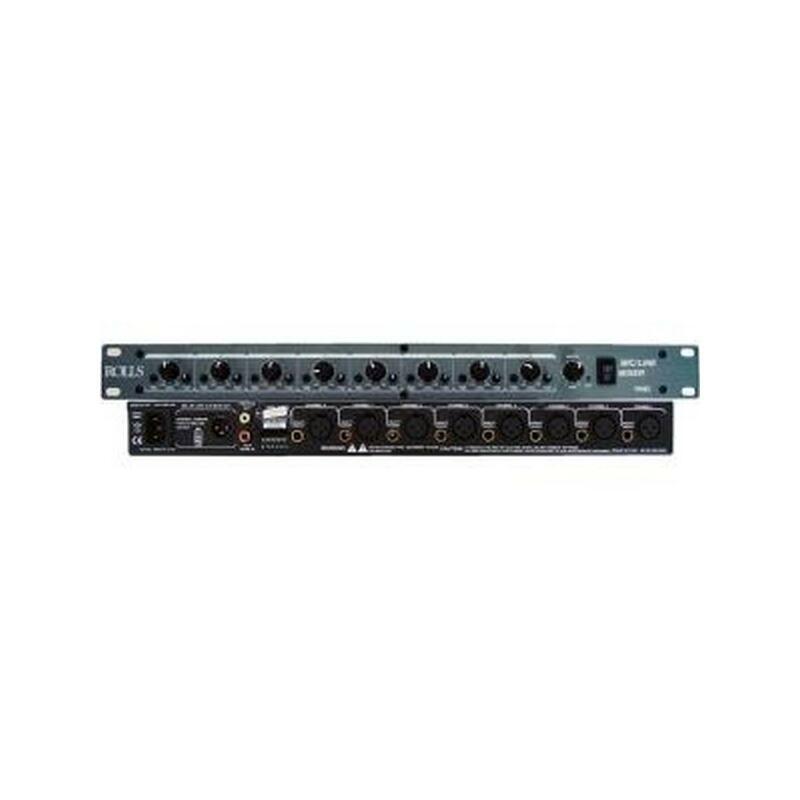 To make the most of each source, the ZonePRO 1260m also has independent EQ and two selectable DSP inserts for each of the 12 inputs. The front panel of the 1260m has Lightpipe metering for each output and lets you alter level settings in a moment's notice. It also has Threshold meters that light up as dynamics processing on the outputs is triggered. The ZonePRO Designer software can be set and forgot, or it can be programmed with "Scene" changes that take effect automatically throughout the day. If you're using the ZonePRO 1260m in a restaurant that gets busier as the night goes on, an increased volume and bass response could be set to engage daily at 10pm. A subwoofer could be attached to its own zone output, and set to only be in use between 11pm and 1am. 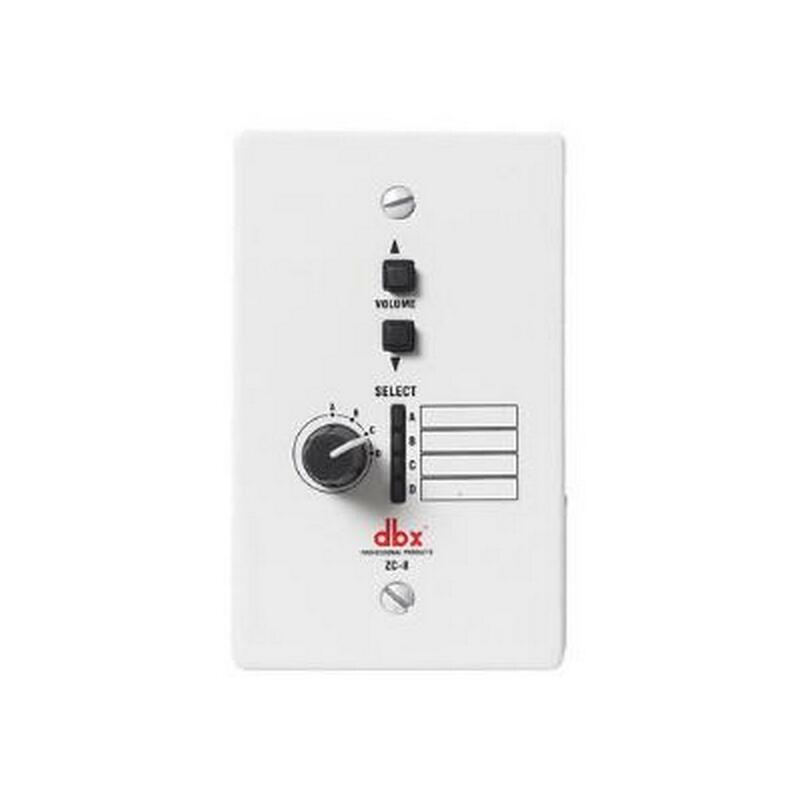 In addition to programmed changes, the ZonePRO 1260m can be controlled manually with dbx ZC-series remote controls. 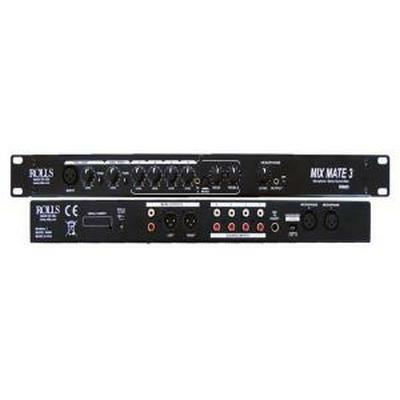 Wallmounted within output zones, ZC controls vary from a simple volume control to a rotary input-source selector. The ZonePRO 1260m supports up to 12 remote controls. 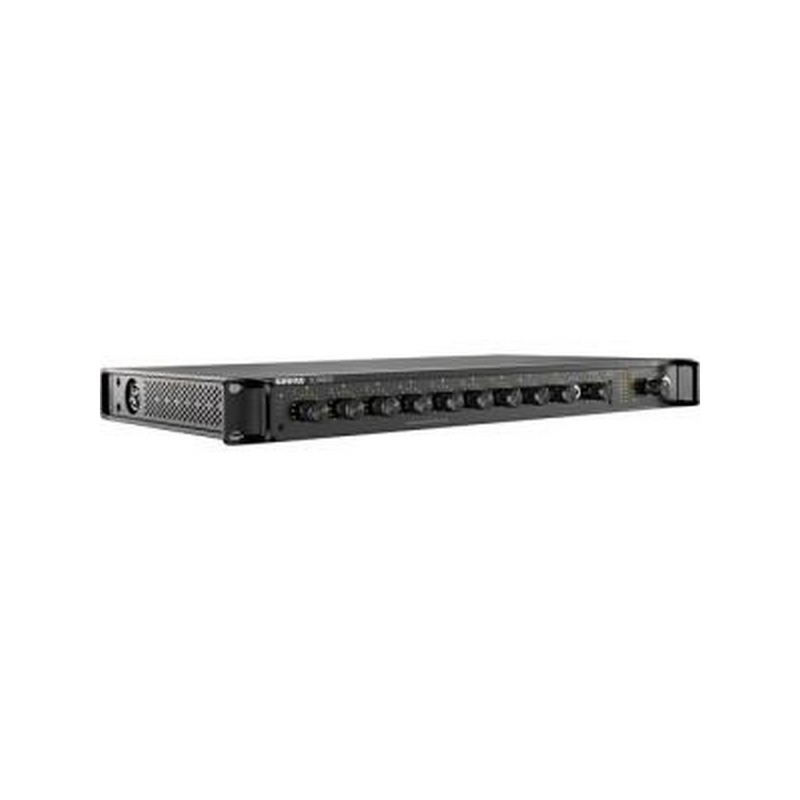 The Link Bus allows the ZonePRO 1260m's inputs to be routed to another ZonePRO product to double its output zones. Up to 3 ZonePRO processors can be daisy-chained. 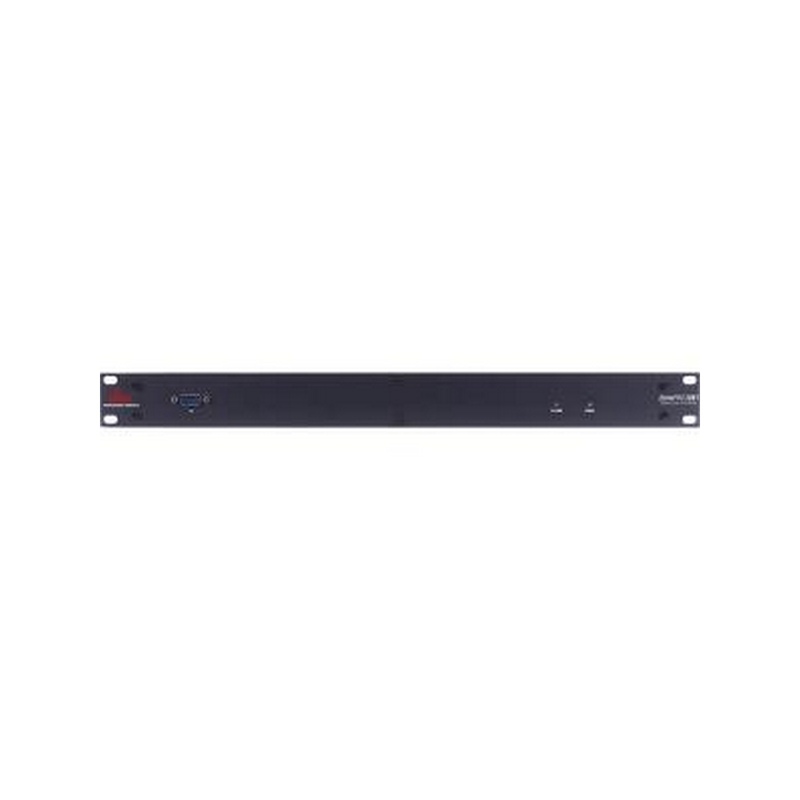 Compatible with Windows 2000/XP/Vista/7, the ZonePRO Designer software provides a wide range of options for configuring the 1260m's inputs and outputs. Software inserts can apply DSP effects processing to sources and zones, and be automatically set to change on a daily schedule. Corrective and dynamics processing can be applied individually to each of the input sources and output zones through the ZonePRO Designer software. Effects include AutoWarmth, automatic gain control, ambient noise compensation, notch filter, compressor, gate, de-esser, and advanced feedback suppression. 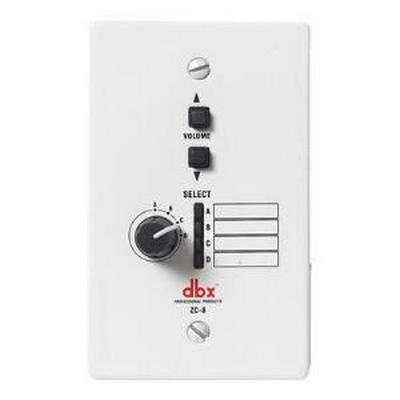 The analog cabling of the dbx ZonePRO 1260m is straight-forward and uncomplicated, making your inputs/outputs much easier to recognize and control from within the software. The ZC-series remote controls can toggle volume, input source, and Scenes. They extend from the 1260m by CAT 5 Ethernet cable, and can be mounted in an output zone up to 1,000 feet (304.8 m) away. The 1260m can connect to a Windows-based PC or a third-party controller by either Ethernet or RS-232 serial port. 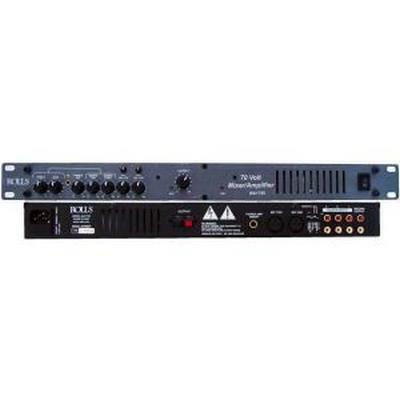 The MA66 is a 2 Zone mixer with a 20 watt per Zone power amplifier built in. The amp section is class D design so it does not generate any heat to the chassis, it can be used in any application. Including Phantom power, talk over that is zone assignable, and an assignable release time for the talk over circuit. 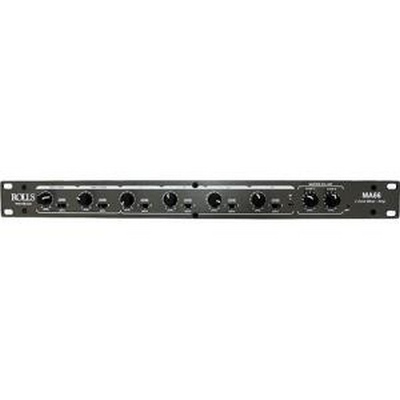 With six inputs (2 mic/line XLR and 4 RCA) and an 1/8” jack on the front panel the MA66 has plenty of input capability to satisfy almost any installation. The output section of the MA66 has 20 watts per Zone (40 watts total) that is all class D design. 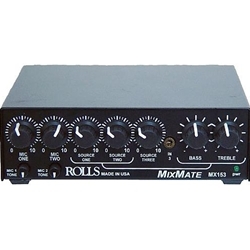 The MA66 also features RCA main outputs. We have also included a remote pad for both zones so you can run an external pad control to any location. The MA66 is easy for anyone to use from the front, but from the rear it is just complex enough it will fill even the most demanding installation requirements. With the included external power supply the MA66 has just about every approval known to man so you can spec it in almost any installation. 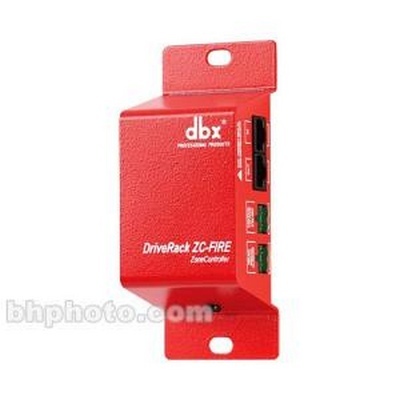 The ZC-Fire from dbx provides either output muting or programmable scene selection for ZonePro devices. 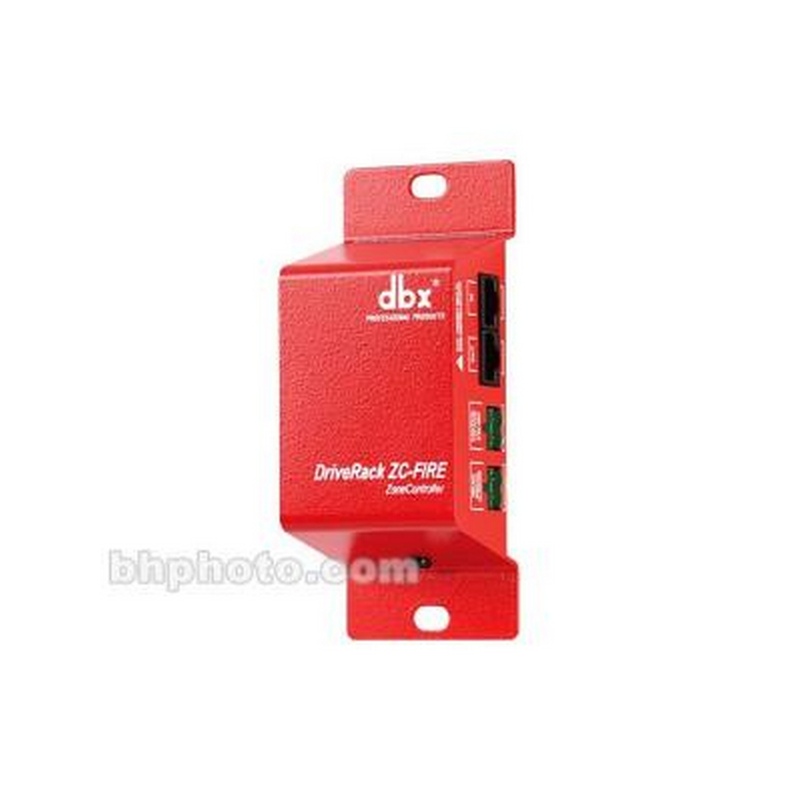 It connects to your fire safety system through a relay or directly to the control voltage output. The ZC-Fire has two RJ-45 jacks and two 2-pin phoenix connectors.